Though there were around 3Crore investors as per the list produced by Sahara before the SC and SEBI, this is the first time one of the investors came up against the firms. However finding some dubious facts in the investors’ list, SC had ordered the subsidiary firms of Sahara to refund over Rs.24000 Cr to the investors as a fine. Against Sahara a Delhi based investor approaches SC. Earlier last year, Sahara had claimed that most of their investors are repaid. Besides, the group also claimed that they have deposited Rs.5120 Cr with the marker regulator as the due amount which has to be repaid to the investors. However in the opinion of many experts, more investors will be approaching the SC for getting their due; if the SC grants the current petitioner the amount he demands. They opine that this is possible as all details are with the SEBI. Somehow the turning up of the petitioner has to be another twisting point in the fight between the market regulator and the Sahara Group. SEBI’s demands and claims become more substantial with the appearance of the investor. 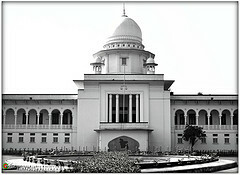 The Supreme Court will have first-hearing of the petition today. 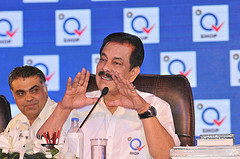 However both the officials of SEBI and the Sahara Group firms declined to comment on the issue. This entry was posted in Real Estate News and tagged Sahara Group, Sahara India, SEBI, Supreme Court by designer. Bookmark the permalink.